I woke up at 5 am and, knowing there was not a snowflake's chance in hot water I was going to fall back asleep, I went to the family room and, dog in tow, settled on my favorite chair to browse through my precious stack of quilt books. 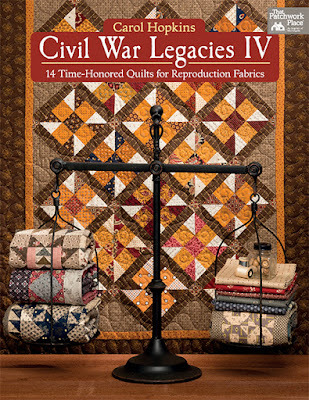 Carol Hopkins' new book, Civil War Legacies IV, was at the top because its cover has a quilt (above) with my favorite reproduction fabric color: cheddar. 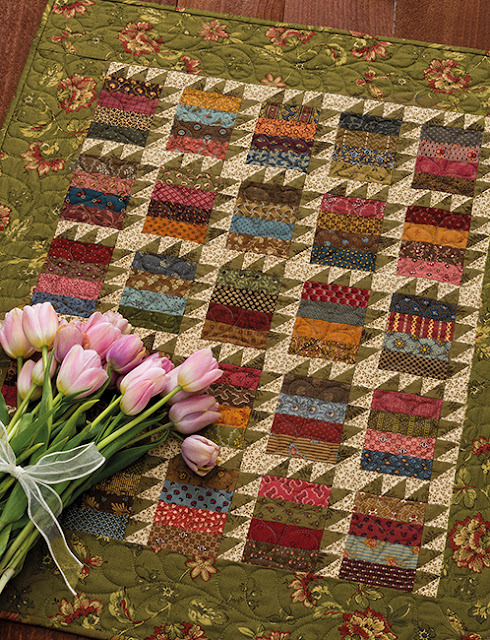 Cheddar adds brightness, warmth, and goes well with brown, blue, burgundy, cream, black... It is the new neutral! Carol is a veteran in the battle to use every scrap of fabric in our private fabric collections and her new book is an invitation to us all: Use it up, bring it out, make it last, don't do without (my quilty adaptation of Boyd K. Packer's famous saying)! 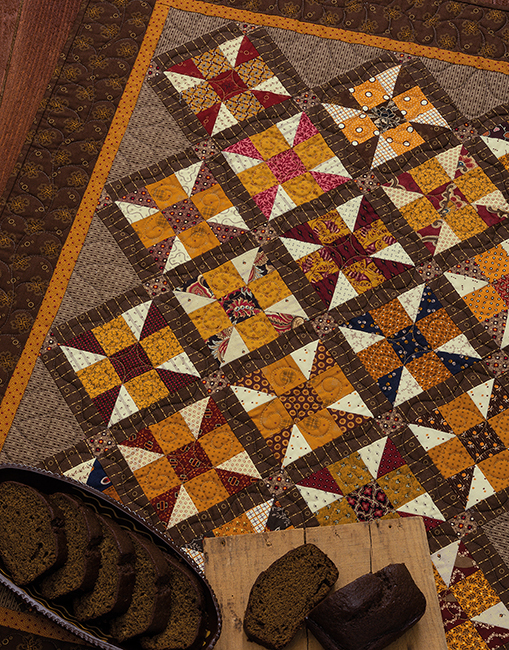 Each of the 14 projects in Civil War Legacies IV showcases Carol's mastery in working with reproduction fabrics: attractive choice of texture and color, a perfect palette where the lighter fabrics infuse brightness in the design and allow the darker fabrics to show off their glory, and an original use of traditional blocks. Her quilt 'Patriotic Logs', above, is so beautiful! There is so much history behind its name, its colors, its block... and, of course, each strip of fabric has its own story - I bet Carol can remember where she bought them as I can with my fabrics. These small projects are perfect for impromptu home decor, gifts which must be delivered tomorrow, and for those of us who decided it is time to try working with reproduction fabrics but do not have a huge amount of it at hand. 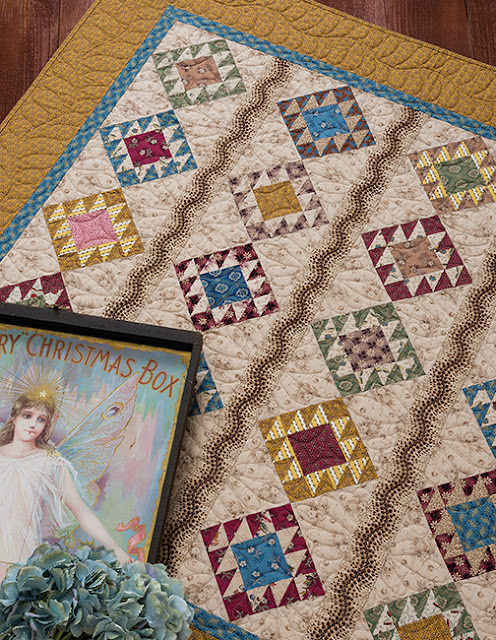 The instructions for each pattern are full of illustrations and easy-to-follow directions so you can start making the quilts right away. 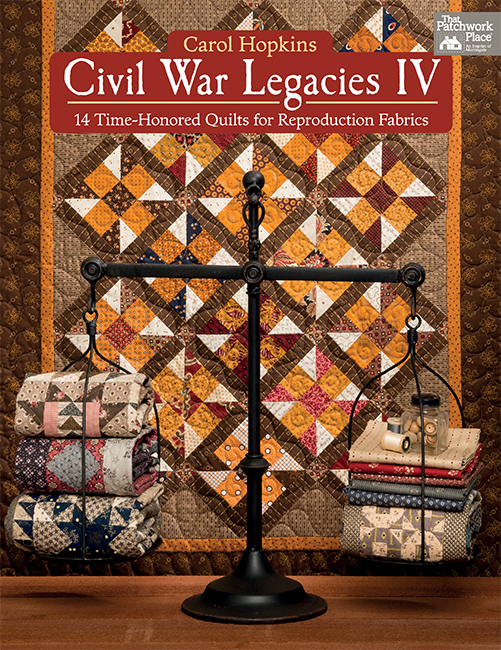 Civil War Legacies IV is available in print or as an eBook, and you can find it in stores or online. The dog is stretching beside me, and my teenagers and husband are moving about getting ready for the day. These are my cues that I must stop writing and start pumping in caffeine because the day ahead will be a busy one. 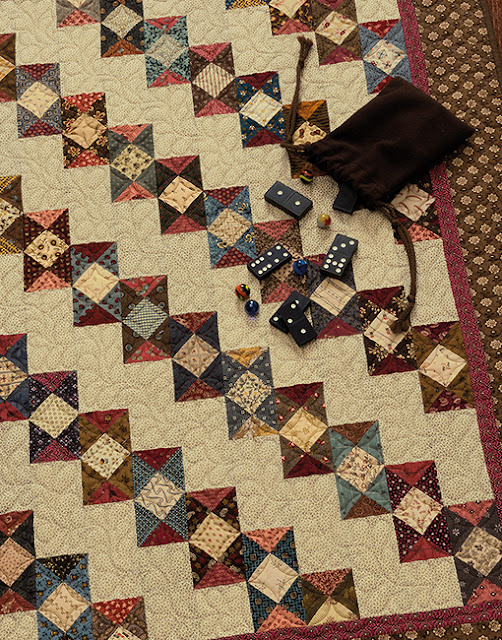 However, I now have all the inspiration I need to make my own quilts. 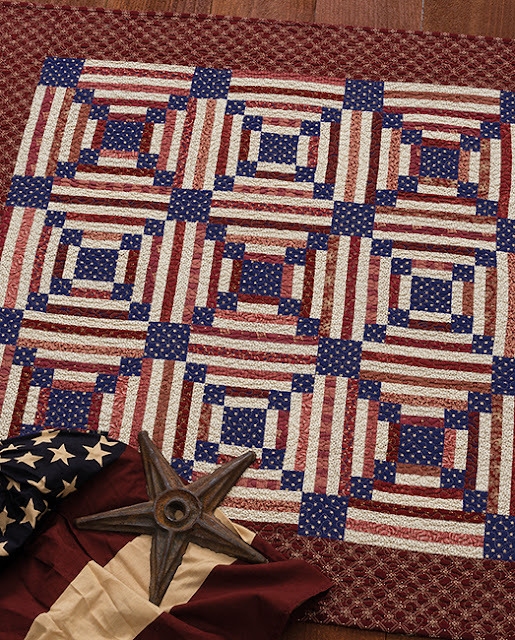 Hello Denise; Each one of the quilts that you shared are beautiful and really do catch your attention right away. I have always enjoyed creating scrap quilts and will have to set aside $ until I can purchase this book. I hope that you have a great day of inspiration and creating! Thank you for sharing! Brenda, the quilts are really fun, aren't they? The book is worth it!